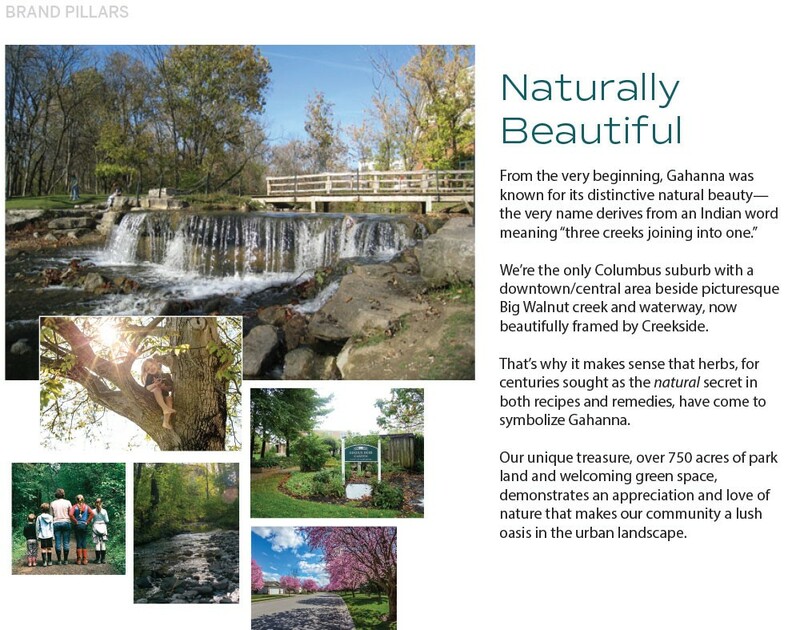 The City of Gahanna appreciates your interest in our recent Gahanna branding initiative. 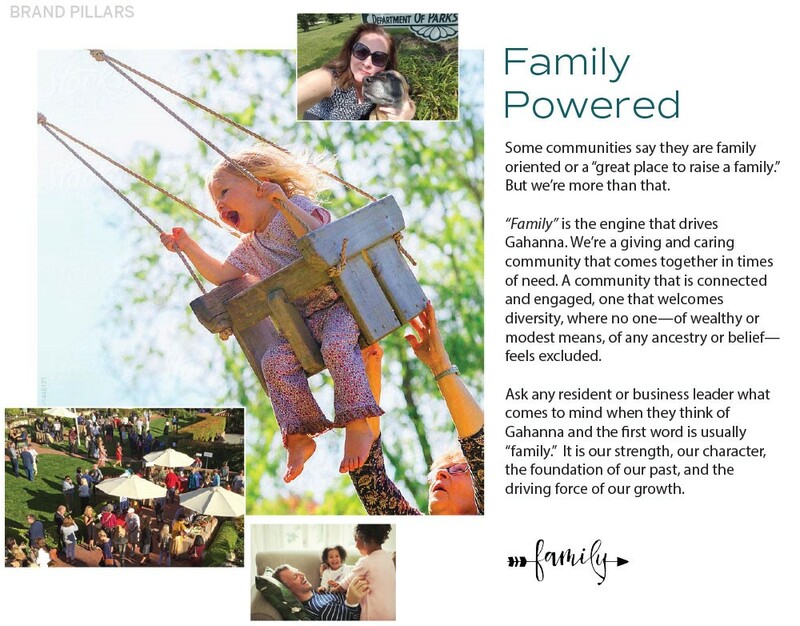 We initially began this process in 2016 when the need for a brand identity was identified in the Economic Development Strategy and GoForward Gahanna strategic plan. Due to staffing changes the project was temporarily placed on hold but was reactivated in February of 2018. The City unveiled its new brand logo, slogan, and positioning to the public on July 27, 2018. We hired a professional community branding firm, Align2Market, to lead this process. We also conducted dozens of executive 1:1 interviews, implemented a community-wide research study and held a community forum that was open to the public. It was the input of all of these touchpoints that made up the ingredients of the branding process. 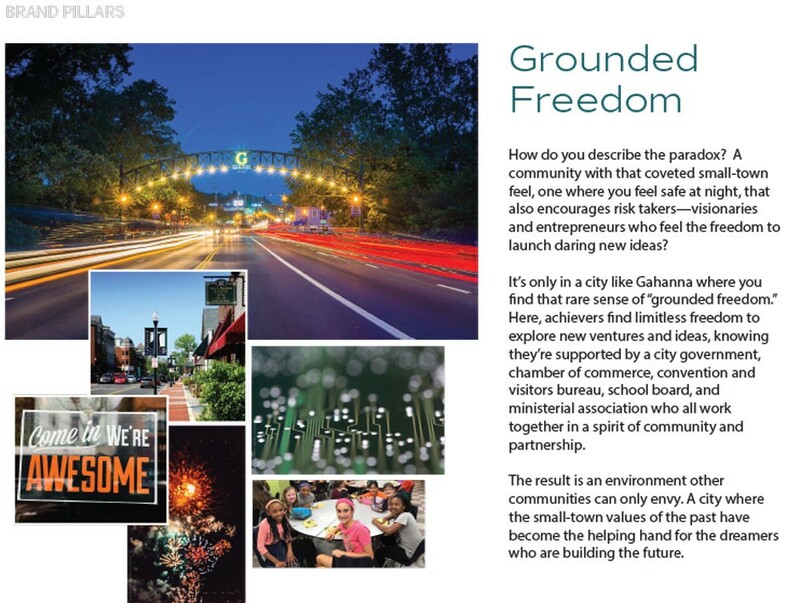 Historically, the City of Gahanna has taken a narrow approach to brand management. The most recent City logo and design standards date to the mid-2000’s. 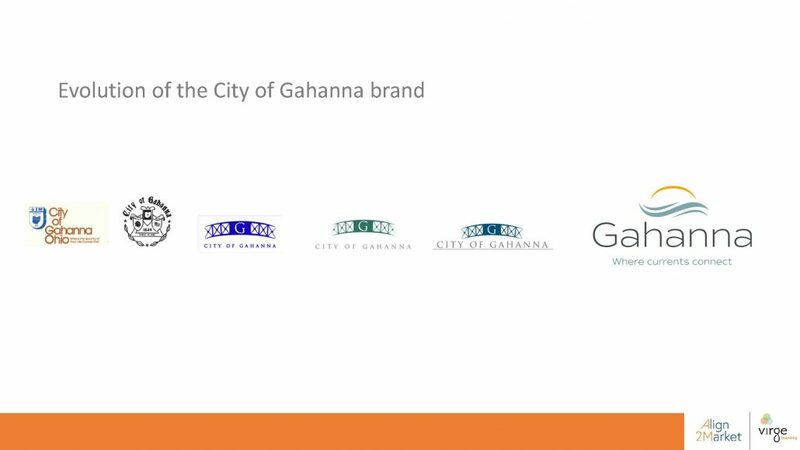 The “Gahanna Arch” logo has become an integral part of many City publications, street signs, and other communications tools. However, it has lacked any accompanying brand management strategies or tools such as message development, brand standards, communications strategies, or integration with internal and external community communications. 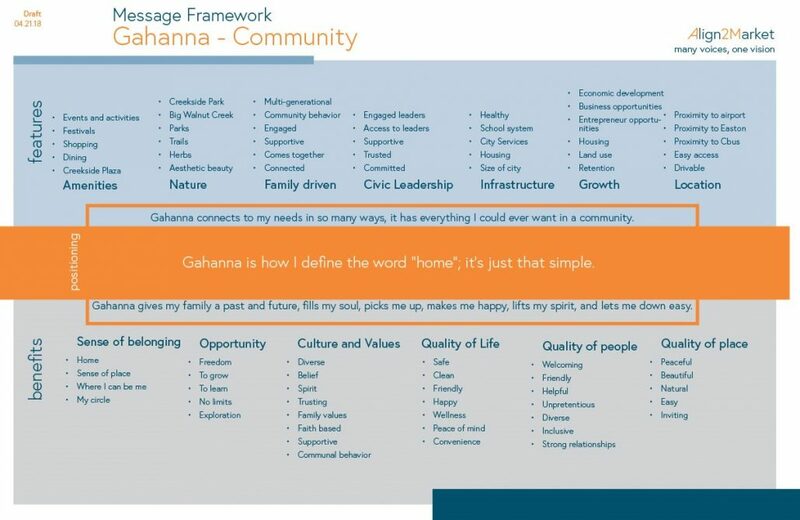 Throughout the stakeholder outreach of the City’s Economic Development Strategy and the community engagement phase of the GoForward Gahanna strategic planning project, the City received frequent input that the City does not have a brand, a defined brand identity or a cohesive communications strategy. 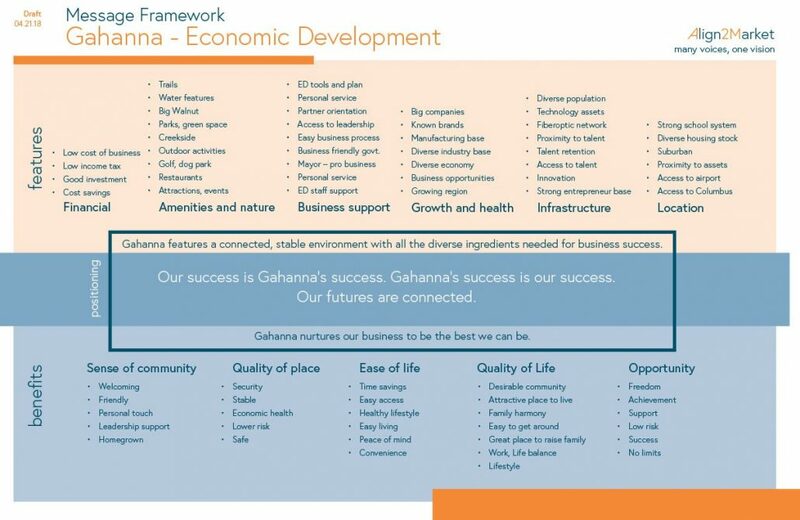 As a result, the development and launch of a new City brand were identified as a strategic priority in the GoForward Gahanna Strategic Plan, adopted by Gahanna City Council in April of 2016. 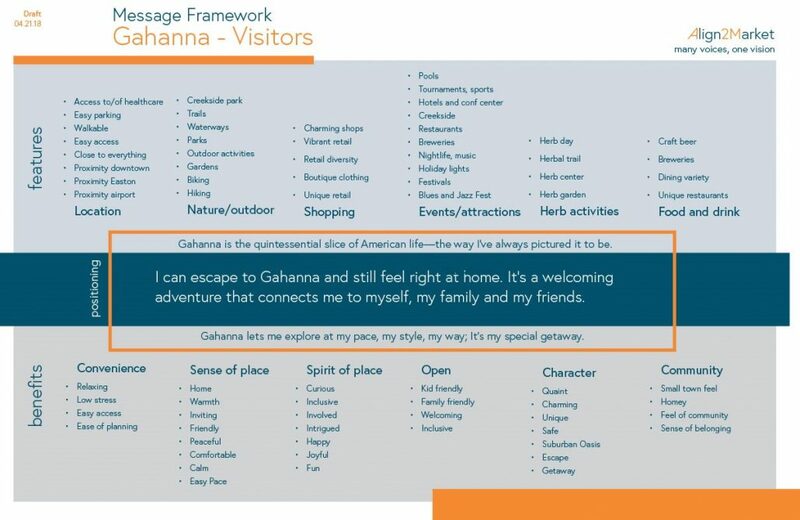 The primary Gahanna logo is available as a download and can be added to your existing materials. Add the logo to your website, social media sites, other online properties, business cards and letterhead. 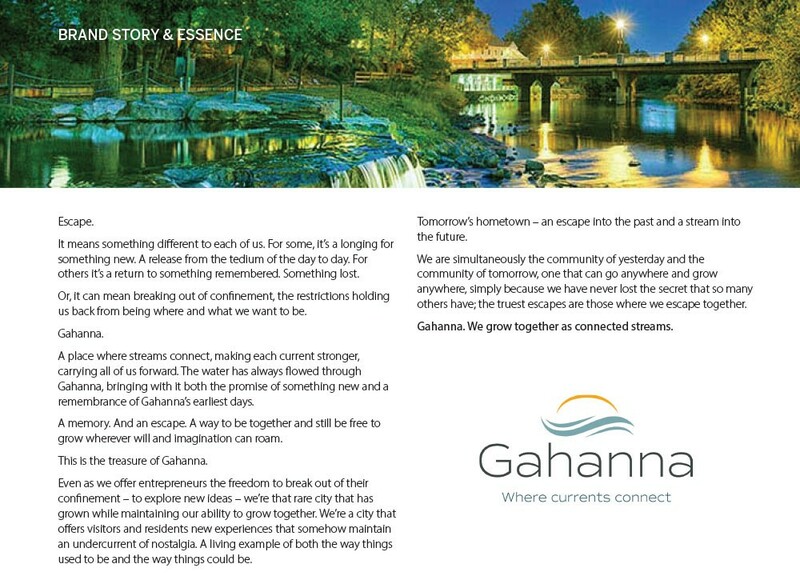 Use the Gahanna logo and other materials on this website to help tell your story. What is a community brand and why is this important? First, it’s important to understand what a brand is not – a brand is not solely a logo, slogan or marketing campaign. Rather, a community brand represents the characteristics and personality of a community. It’s about more than buildings, places, and things. It’s made up by the spirit of the people who help give the community an authentic and genuine voice. It’s the community’s DNA. A community brand crafts an image and shapes perceptions of internal and external audiences. It frames how people talk about a place, shapes a community’s reputation and gives a community its sense of place. It also becomes a rallying cry for residents and lifts community pride. Branding a community is a journey that doesn’t happen overnight. The rollout of our brand, logo, and tagline is just the beginning. Over the course of the next several months, you’ll see the brand and our messaging evolve in various elements throughout the city. For additional questions or more information email information@gahanna.gov.